The Texas Senate passed a controversial bill on Tuesday that critics argue would empower doctors to lie to pregnant women. Senate Bill 25, which will now be sent to the Texas House, prevents parents from suing their medical provider if their baby is born with disabilities, even if that doctor discovered the condition during routine prenatal testing and failed to inform the parents. The architects of the so-called “wrongful-birth” bill have argued it would protect children with disabilities and prevent doctors from facing unnecessary lawsuits. “It is unacceptable that doctors can be penalized for embracing the sanctity of life,” Senator Brandon Creighton (R-TX) said in a press release when he introduced the legislation last fall. But reproductive rights advocates have been relentless in their criticism of the measure, arguing that it would effectively make it lawful for a care provider who is opposed to abortion to avoid prenatal testing, downplay test results or even lie to patients about results if they believe those patients might consider terminating a pregnancy. “SB 25 would allow doctors to lie to their patients,” Heather Busby, executive director at NARAL Pro-Choice Texas, the reproductive healthcare advocacy group, told The Huffington Post earlier this month. “[It] is another thinly veiled attempt to prevent Texans from accessing their constitutional right to abortion,” Busby reiterated Tuesday. The final Senate vote on Tuesday split 21-9, largely along party lines. During an earlier period of debate on the Senate floor, Senator Jose Rodriguez (D-TX) expressed concern that the bill was simply a means of chipping away at women’s rights, The Houston Chronicle reports. 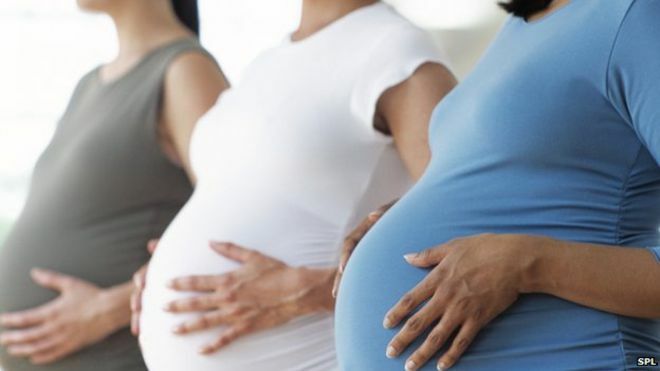 “It seems to be all about restricting and further limiting a woman’s right to exercise her choice as to what she’s going to do in the case of serious detects in the fetus, congenital defects in the fetus,” said Sen. Rodriguez. SB 25 was not the only abortion bill to move quickly through the Texas Senate this week. On Monday, in front of a gallery that included a handful of activists dressed in costumes from “The Handmaid’s Tale, legislators passed Senate Bill 415, effectively banning dilation and evacuation, a safe and common procedure used in many second trimester abortions except when a woman faces a health emergency.